Where you go is often a product of what you are willing to leave behind. Being attached to too much leaves less space for taking on new outlooks. In new ideas, your business can rise to rebirth. 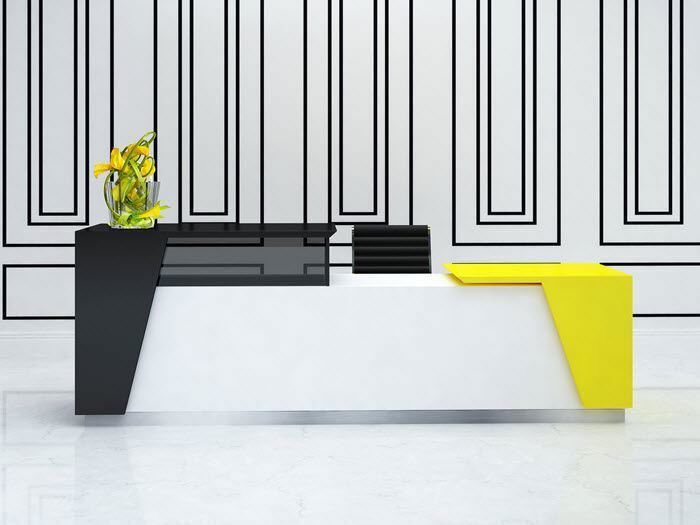 At 90 Degree Office Concepts, it is our purpose to help our clients open a wider space between what is and what could be in the world of office environments. 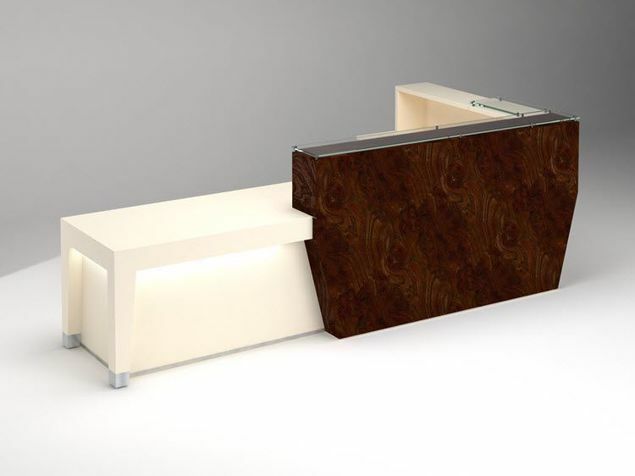 For this reason, we have designed a modern reception desk that sets the tone for a workplace set apart from the average. The Austin Modern Reception Desk can take your workplace’s entryway to places it has never gone before. The Austin gives rise to a multi-level design that offers an air of simplicity while providing an incredible WOW factor—designed in your color palette, from basic monotones to colorful hues that pop. 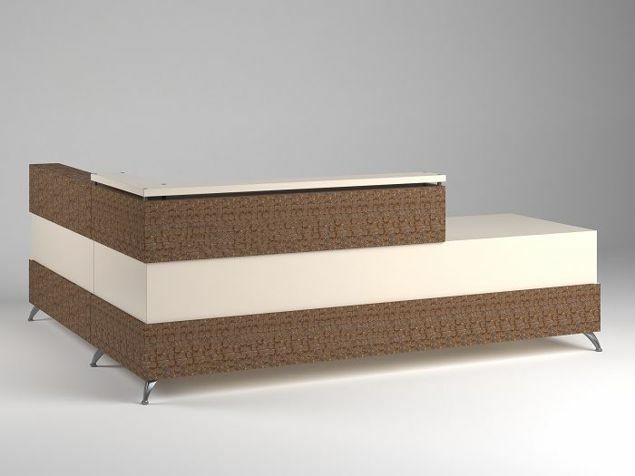 The Austin’s entry-level size and material comprise 84" of HPL construction. The surface configuration is done in three layers, with 45-degree edges raised over the primary platform. The transaction top hangs over a window of acrylic glass. The 4" brushed-aluminum base provides a distinct design feature while adding protection from damage. 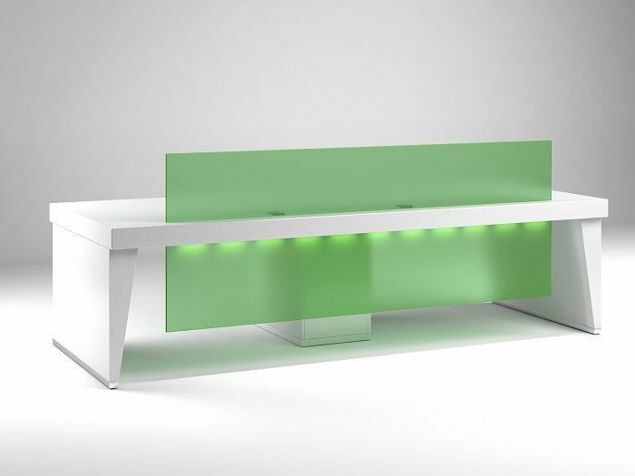 The design concept presented above shows a 96"W x 26-1/2"D x 42"H desk done in white specialty laminate (optional) that provides solid-color material to avoid corner lines. 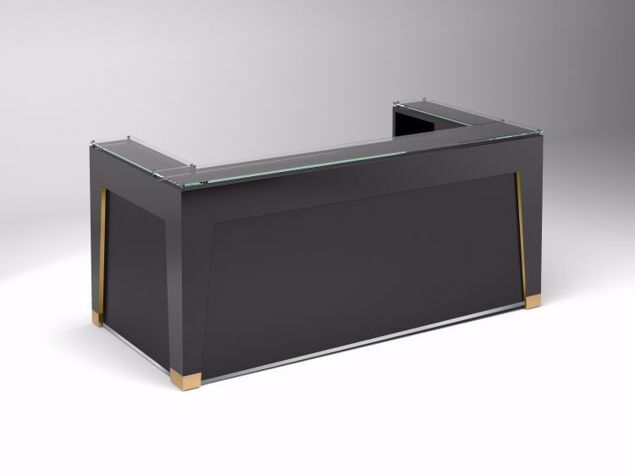 The transaction top is designed in a black geometric shape with gray acrylic glass to hamper clear visibility to worksurface activity. On the opposite side, you’ll find a raised work surface in Sunshine, adding an eye-catching element to the work space. Priced as shown: $3,394. No problem! We can change the size, material, color or finish for that special match. Need to find the right reception furniture to match a budget? Let us show you how to do it affordably. It’s simple! Just tell us what you want. Call us: 855-699-0334.